For existing operations, the need for compliance has already come on hot and heavy. 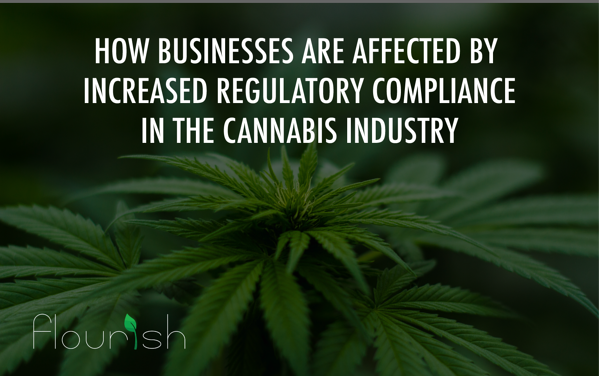 Many stakeholders involved in the cannabis business haven’t had to make operating in a regulated ecosystem a priority until now. One of the biggest challenges for existing businesses is understanding what it takes to get licensed and survive the increasingly stringent regulatory system. But don’t be mistaken – the record-keeping and reporting that goes into compliance doesn’t end once a business has obtained its license. Regulatory compliance remains a vital part of all day-to-day operations so that a business can maintain its license. Whether a business is licensed to cultivate, manufacture, or distribute the product, the effort required to manage compliance is tedious, time-consuming, and consequently frustrating – especially amidst state regulation that is constantly evolving. The cannabis landscape is expanding while simultaneously fine-tuning, specifically in regard to reform and regulation. Many small businesses are not prepared with a compliance plan, and this leaves them at risk of facing heavy fines, losing their licenses, going out of business, or having to half operations with a cease and desist letter from the state. Simply put, stakeholders need to monitor compliance in every aspect of their operation to remain viable and avoid disruptions. Furthermore, as new players continue to enter the market, many companies currently in business won’t have the resources to make the appropriate investments to answer both compliance requirements and expansion pressure (i.e. real estate, building construction, employees, etc.) – consequently spreading out the competition in the industry. In order to stay afloat, companies need to prioritize compliance – even if these regulatory requirements make running their businesses more difficult. We don't know if an increased focus on regulations, which makes it harder for businesses to focus more on staying competitive, is the best way to go as the industry continues to expand its footing in the United States. What we do know is that the cannabis industry has to legitimize itself by proving to both the federal government and general public that it is an industry that is capable of creating revenue while also adhering to regulations that promise consistent quality. This will allow the cannabis business to turn into an industry that is not only legally and financially sustainable, but also trusted and respected at a global scale. In order for businesses to run their operations efficiently while also adhering to regulation, they'll need technology. The right technology solution will provide the adaptability and scalability needed to accommodate a new and evolving industry. Next week, we'll look into the accumulating threats facing existing businesses in the United States who are failing to comply. Learn more about how Flourish helps your business stay compliant.